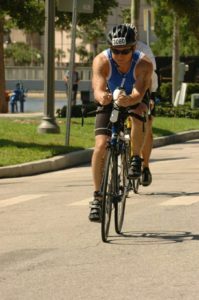 One of the scariest things for a beginning triathlete, besides getting in the open water, is cycling. The first image that wandered into my head upon deciding to start seriously bicycling was of a that scary peloton. 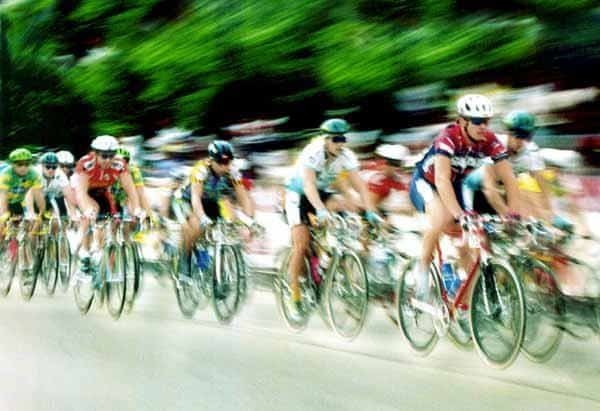 Those tight formations of bikes moving at ridiculous speeds, during the Tour de France, so close together that one wrong move could cause serious damage to my body or someone else. Scary right? Luckily, triathlon doesn’t allow for huge groups like that, as a matter of fact it isn’t even allowed. Whew! I didn’t have a lot of money when I first started in triathlon, and I also didn’t really know if I was going to like it. I spent a lot of time in bike stores drooling over the expensive bikes, while studying cheaper entry level bikes. Every bike store had a different angle they played. One would say, purchase the more expensive bike, gain more speed so when I improved I didn’t have to buy another bike. Another would tell me to buy the entry level but load it up with expensive components so I could ride faster, and when I wanted another bike, the components alone would warrant a good price, and of course that store would buy it back from me and give me a discount an another bike. Decisions, decisions what to do, what to do? 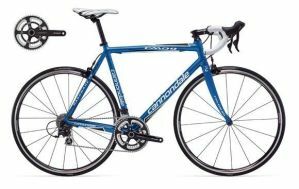 I would enjoy triathlon, I decided on an entry level Canondale CAAD 9 road bike. I also included in my purchase, a pair of pedals, cleats, shoes and a helmet. The helmet was very important especially since I hadn’t actually rode a bike in over 10 years. Would I really not forget how to ride a bike? The answer to that my friends is YES. It is not a skill that is forgotten. It maybe a little unsteady the first couple of times, but not forgotten. Luckily I will have my trusty helmet, just in case. I also read something that resonated with me. The most important thing that is needed after the purchase of a bike, is the fitting. At first I thought, “what? Don’t I just have to find the most comfortable height of the seat and then get going?” I had no idea that there are so many different adjustments on a bike, to a point that bike “fitters” actually have to be certified in order to properly fit you. They have to take courses, pass tests and be mentored. “Really?”, you ask? Yes…really. The fitting took about an hour where they put my bike on a trainer, and with my shoes and bike shorts I pedaled, then the fitter took measurements and made adjustments to my seat post raising it and lowering it to a perfect dimension. Then he took angle measurements from the ground to my hip, knee and shoulder and from the pedal and a bunch of other places. He moved my saddle not only up and down by forward and back. He then took my handle bars and put different size spacers on the tube underneath my handlebars to find the perfect height and then was able to move them back and forth to find the right angle, height and most comfortable spot for me. I had no clue there was this much to it. As I left the store after my fitting, Jo-el, the general manager and friend from my track club, gave me some good advice. I had never rode in cleats and pedals before, where my feet were clipped into the pedals where they wouldn’t just simply lift up. I had to turn my heel so the cleat would unclip from the pedals so I could put my foot down. Jo-el said to take my bike in the house and put it between a doorway, and practice clipping and un-clipping from the pedals. Also, I needed to find the most comfortable side to unclip first and then stick to that side no matter what. I followed that advice in detail. I clipped, unclipped, clipped and unclipped till I was sure I had mastered it. Then I took a little ride around the block and practiced even more till I was confident I mastered at least that part. I had a feeling of euphoria that first little trip in my neighborhood. I felt fast, free traveling under my own power on this brand new, tuned Cannondale bike. I was really excited for my first ride the next day in the hills of San Antonio. I drove to San Antonio…Florida that is, with my brand new bike in the back, my new bike shorts on, bottles ready to put in their cages on the bike, coffee in my cup holder and classic rock playing on the radio. I remember having mixed feelings about this initial ride. I had never ridden in a group before, I had never ridden with these cleats and clips before, but I knew I was in good shape but was I fit enough? After that I just thought to myself, “if you cannot go as far then just turn around and head back. no big deal.”. I met a friend at these ball fields and was mesmerized by the amount of bikers getting ready to take their morning ride. The sea of colors from the different bikes and jerseys was extremely overwhelming. That anxious feeling came back for a second until my friend mentioned we were riding with triathletes not pure cyclists. They would understand I was on my first ride and would help me out. After preparing for my first journey, we found our formation and began the trek. I was surprised that I was staying in the middle of the pack and with minimal effort. The wind was in my face, I was pedaling under my own power and keeping up! It was an incredibly euphoric feeling. Unfortunately, when we hit the first long hill, euphoria turned to anxiety and then… embarrassment. My pedaling slowed, and it became extremely hard to mash down on the pedals. With very minimal spinning of my legs I tried to switch to higher gear, but I actually ended up in a lower gear which made it even harder. When I did finally gear up, it was too late. I couldn’t move the pedals fast enough to switch gears, and my chain fell off , so I was at a dead stop. Of course I was so concerned about the gears I didn’t unclip out of my pedals, and I went down on my side. The only thing that really hurt was my ego as I stood my bike up and examined the chain. The group was passing me all asking if I was ok, and taking for granted that I was telling them I was fine and to keep going. By the time I had my chain back on the group was completely out of site. I pedaled like a bat out of hell hoping to catch up, but I missed a turn and ended up 10 miles out of my way, and lost. To make a long story short ( I know, too late) one of the faster members of the group realized I was gone, backtracked, and finally found me asking directions at a convenience store. He led me back to the group and I finished the ride without any other issues, but I learned a lot of lessons that day. 1. Buy an entry level road bike. This is usually an aluminum alloy frame. You don’t want a Wal-mart special, but you don’t need to start with the top of the line bike either. 2. Purchase a set of entry level pedals, cleats and shoes. The pedals usually come with the cleats and the bike shop will install them for you. 3. Purchase safety equipment. Biking shorts, and a helmet to start. I would also have a set of sunglasses as well. Not just to keep the sun out of your eyes, but it helps with the wind too. Make sure you also have at least one water bottle with a cage installed on your bike. 4. Get the bike fit for you. Have a certified bike fitter make those adjustments specifically for you. 5. Practice getting in and out of your cleats . Put your bike in a doorway, hold onto the frame and get in and get out of your cleats. Find the most comfortable side of the bike and then practice getting out of the cleats and putting your foot on the ground. 6. Take a short ride around your neighborhood and continue to practice getting in and out of your cleats. When seeing a stop or even a potential stop ahead practice just moving your heel just to the point where you unclip before stopping so you have a quick option that you can pull out of your clip to stop or return your heel to clip back in to keep going. Remember to always clip out and stand with the same foot first every time. 7. Understand your gears. While in that first ride, switch the gears on your right hand and find what lever takes you to a higher or easier gear, and which one brings you to a lower or harder gear. 8. Take your first long ride with friends and have some fun. One last thing, you are going to fall. That is just the reality of it. You will get stuck in your cleats at some point and you will fall over, but it will be minimal. The trick is to accept it, get up brush yourself off, laugh at yourself, get back on your bike and have fun. It’s worth it I promise. This post was originally published for IR4C for their new media site, IR4C.TV on July 2, 2013. I need to be refitted for my bike. I thought they fitted me for it, but after seeing your post, I don’t think the 10 minutes they spent was enough!